Aqua/Water/Eau, Cetearyl Alcohol, Cetyl Alcohol, Phyllanthus Emblica Fruit Extract, Acacia Concinna Fruit Extract, Argania Spinosa Kernel Oil, Crambe Abyssinica Seed Oil, Phytosterols, Betaine, Citric Acid, Behentrimonium Methosulfate, Serenoa Serrulata Fruit Extract, Glycerin, Camellia Oleifera Leaf Extract, Pyrus Malus (Apple) Fruit Extract, Citrus Limon (Lemon) Peel Extract, Saccharum Officinarum (Sugar Cane) Extract, Potassium Sorbate, Diazolidinyl Urea, Iodopropynyl Butylcarbamate, Stearamidopropyl Dimethylamine, Fragrance/Parfum, Polyacrylamide, Benzyl Benzoate, Limonene, Linalool, Alpha Isomethyl Ionone. For such a small price its the best buy! Good quality and leaves my hair so soft and shiny. I use this everyday and i love it! 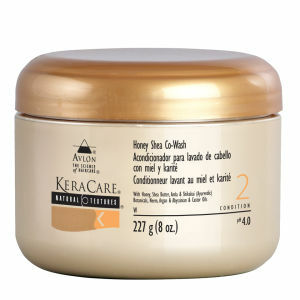 It is very difficult to find leave in conditioners, so I searched the web and found KeraCare which seems to do the trick. I am on my second bottle. Small sizes for holidays would be good. This leave in is nice and not heavy on my 2b waves. The only negative is the smell which I'm not too keen on. I'm on my 4 bottle. I'm very satisfied with this conditioner, it keeps my damaged and dry hair ends shiny and mousturised. Highly recommend. I wish to apologize because the correct name is keracare leave in conditioner. Please ignore my previous review. So sorry. I love it. It leaves your hair soft but with body and it helps me a lot with my brushing.it is ideal for travelling. Very good! I discover it with my darling look fantastic web as usual. Very good. 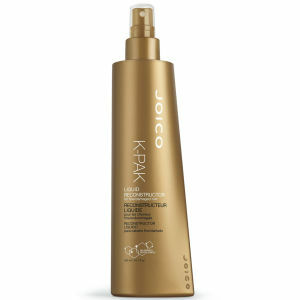 I love this conditioner because it is so easy to use and you can leave it in your hair because there are not residues. The hair feels soft but with body and it really works! Wonderful leave in conditioner. my hair is soft and shiny, bouncy and not weighed down. i have tried many hair products over the years but NON come close to Keracare. Smitten!! I have coarse curly hair, and after searching for many years this is the best conditioner I have used. 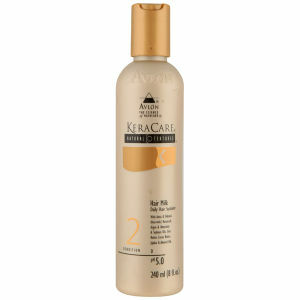 It is rich and creamy, easy to apply and leaves my hair looking and feeling great. I used to use a rinse off conditioner because I thought a leave-in one would be heavy but I was wrong. I am on my third bottle and so I highly recommend this product.